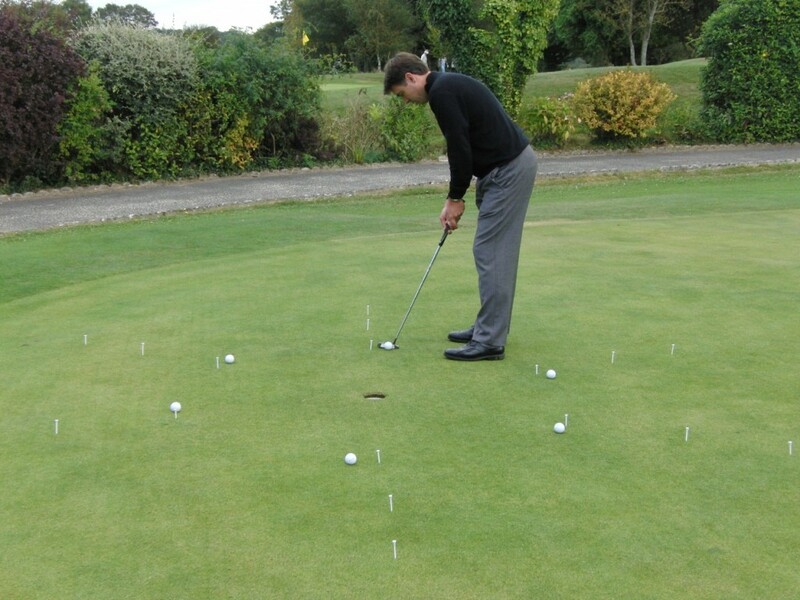 Putting is a very crucial part of golf and there are also many ways to putt well. I am going to share with you the most common problems that golfers run into when they are putting badly. 1. Your Stance is too Narrow – Having a stance that is too narrow will cause your legs and body to move around too much during the putting stroke. 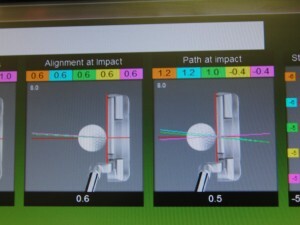 This will cause your putter path to go off path affecting the quality of the putt. The Fix – Widen your stance by a few inches and focus on keeping your knees rock solid through out the stroke. 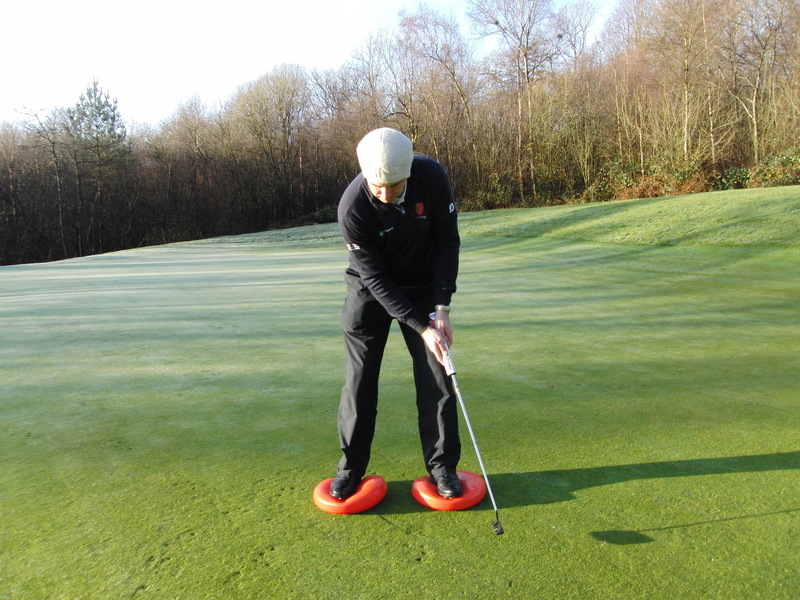 One tip is to get some balance pads (like I have here) and make some practise stokes whilst standing on them keeping your balance, you will soon know if your not keeping great balance. Its a great way for you to learn what good balance feels like. 2. 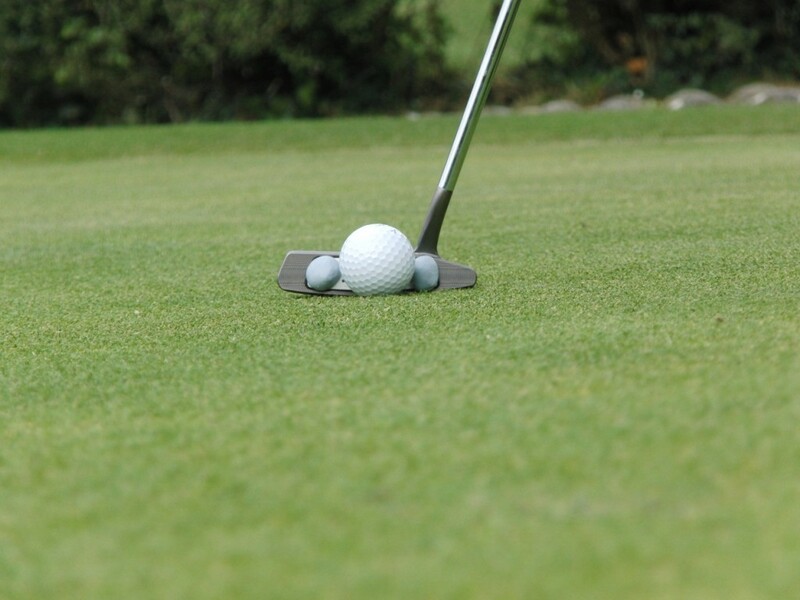 Moving your head around during a putting stroke causes miss – hits. It is most certainly a fundamental that golfers forget especially on short putts as they are keen to peak too early at the hole. I really want you to commit to keeping your eyes quiet until the ball has long gone, I guarantee that you will be more consistent and will hole more putts!! 3. 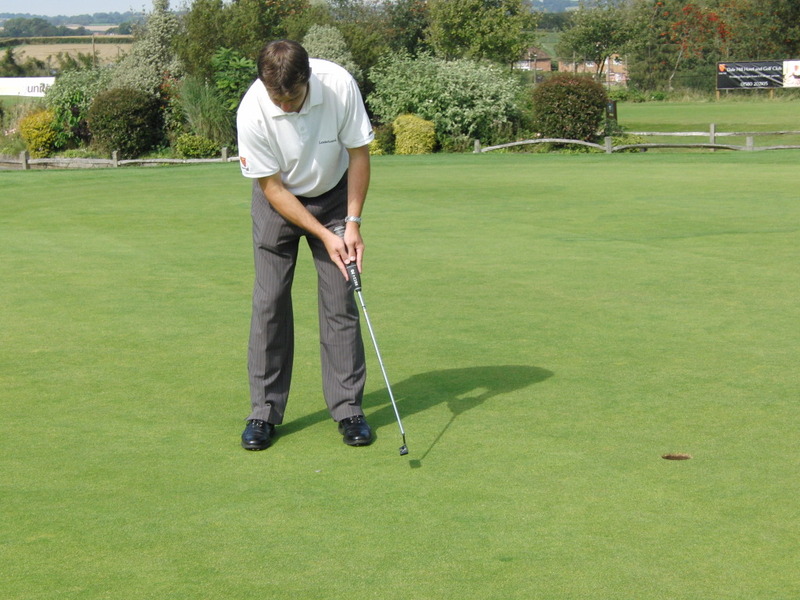 Decelerating the putter during the stroke will normally cause you to miss putts to the left of the hole. This can sometimes be traced back to a back stoke that is too long. 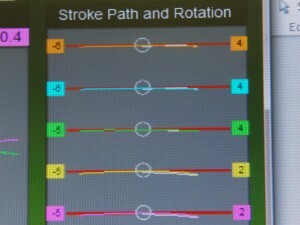 If it is make the back stroke a touch shorter and make it a habit to accelerate the putter into the back of the ball. 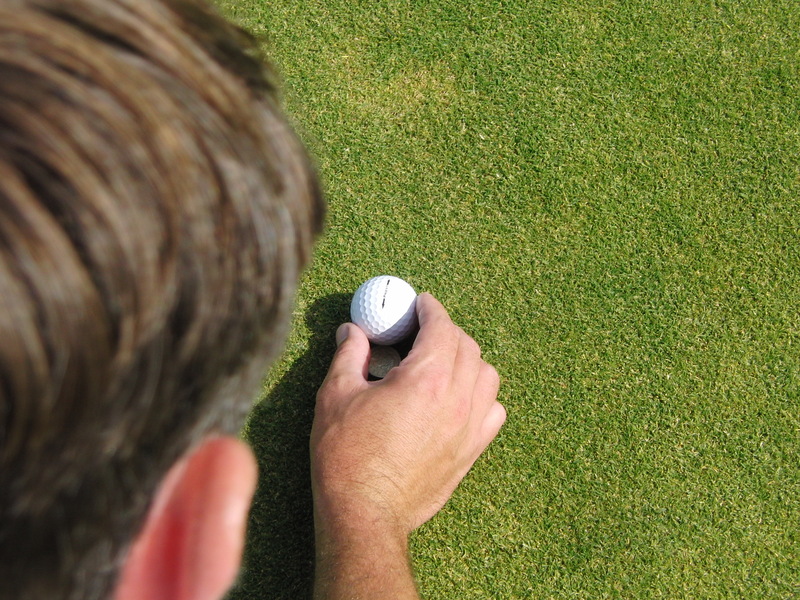 Putting Tips – Helping you putt better. This is one of the best putting tips used by the best players in the world. 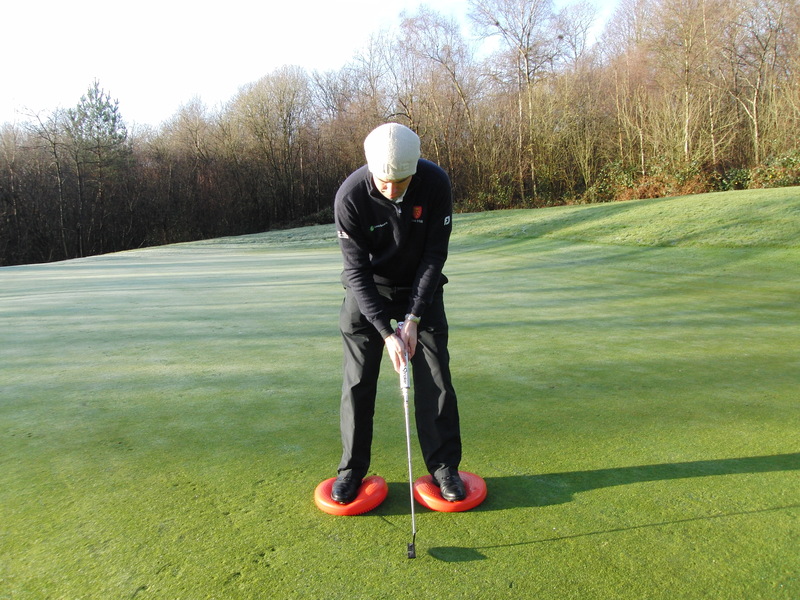 Using the logo of the ball is a very effective way of helping you hole more putts. Far too many golfers faced with a short makable putt set over the putt thinking about the negatives of missing the putt. To often you hear them say ” I just new I was going to miss that”, as they curse with anger. Why not just focus on the positives on holing the putts instead?. 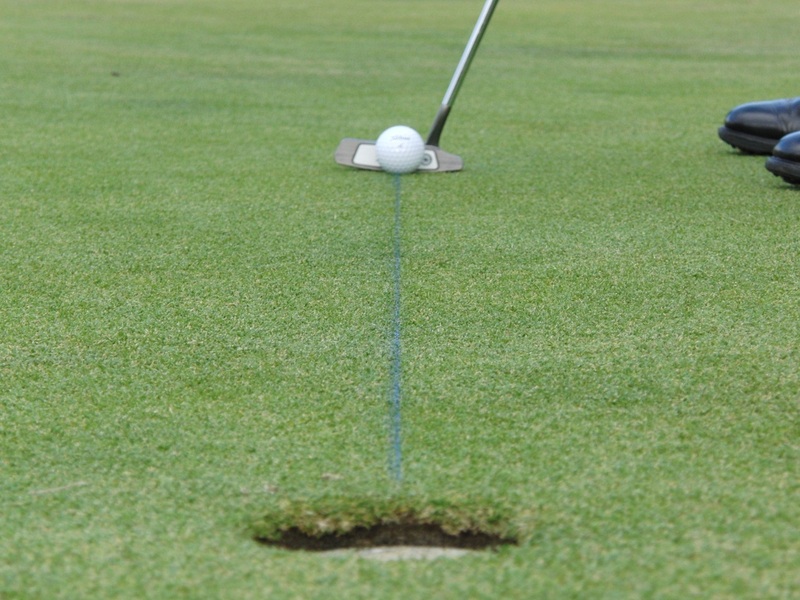 So after reading the putt start using the logo of the ball, or better still putt a line on the ball with a Sharpie pen and line up the logo/line down the intended start line of your putt, for example a straight putt would have you line the logo into the centre of the hole. A left lip putt would have you line the logo up towards the left lip. You will be amazed that just by doing this you will start to focus more on getting the putter face square to the logo and then to hit the logo so it rolls over end on end. You will be making a lot more of those knee knocking putts than you thought possible and this will most certainly grow your confidence and success. Remember to commit to doing this on every length of putt, even the 40 footers!! One thing I am always asked as an instructor is how I can improve my distance control “I always leave my putts way short” is the common complaint. When you address the putt try hard to keep your hands, wrists and forearms relaxed as tension takes away the entire feel from the putter head. 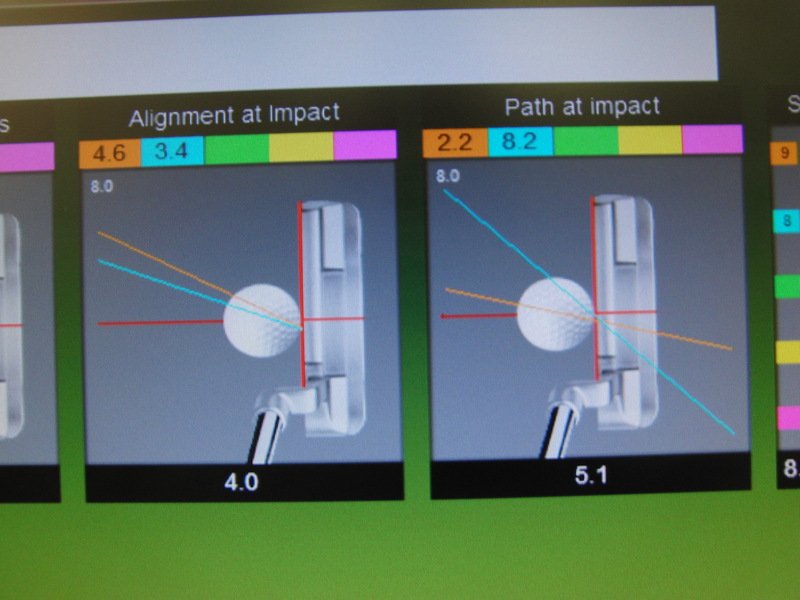 You need to be able to “feel the stroke” to really improve your distance control. With this drill place two tee pegs 18 inches apart and place two balls on each peg so you can see them more easily from long range distances. The idea is to then go to some various distances of say 18ft, 20ft, 25ft and so on and hit 3 putts from each location; the aim is to finish each ball between the two tee pegs. 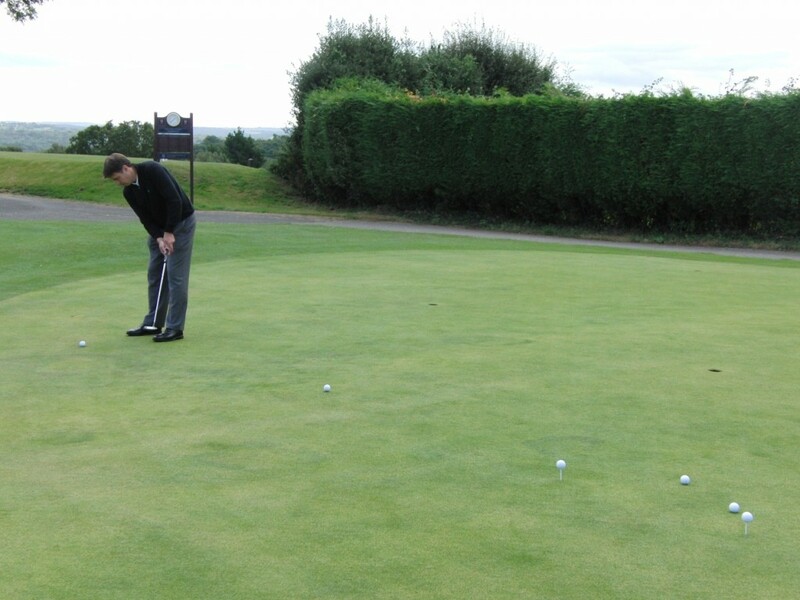 I had a client come to me for a putting lesson this week and he was getting really fed up because each week he had been out playing his partner from tee to green but once on the putting green it was a different story. He was losing each week due to poor putting and as usual his playing partners were full of advice, “you’re aiming too far to the right with the putter head”, “you keeping looking up”, you’re decelerating”. The list went on!! My client mainly missed putts to the right of the hole and hated short left to right putts. So we used the Tomi Putting Analysis system that I use along with high speed video camera technology to find out just exactly what was going on during the putting stroke. The indoor putting green that we used was set up for a dead straight 8 foot putt. 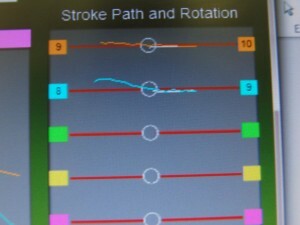 Here are the pictures of my clients putting stroke before any changes were made. 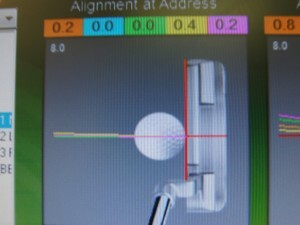 The putter face was square to the line of putt as you can see from the numbers above, so that was not an issue. 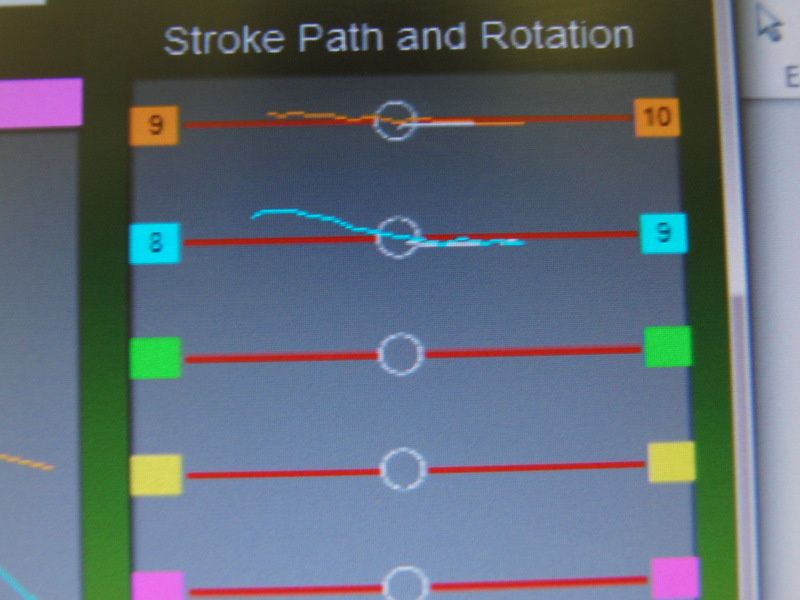 The putter head was opening up too much during the back stroke 10 and 9 degrees of rotation, which is a lot for an 8ft putt. 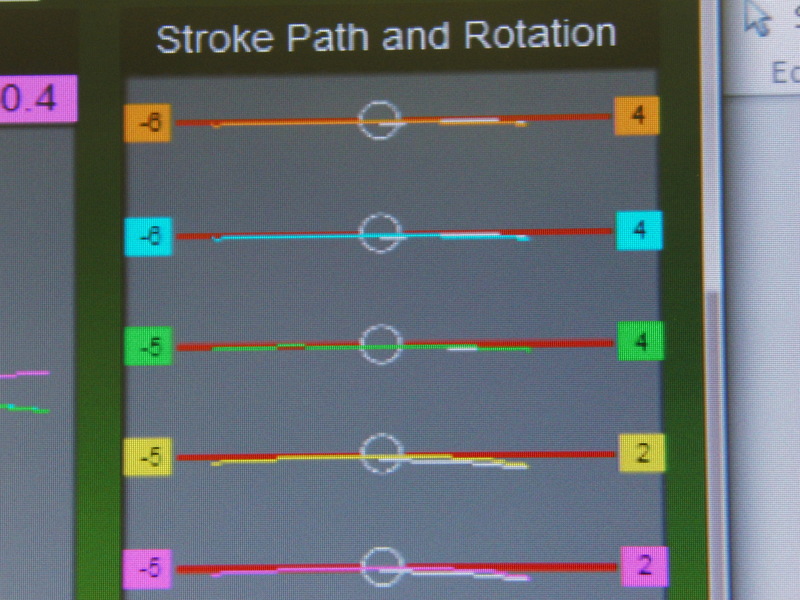 So after we viewed the Tomi Data and the high speed video analysis of his putting stroke we needed to change just one thing with my client and that was to reduce the amount that the putter face opened during the back stroke. Below are the results. Putt head rotation reduced to just 4, 4, 4, 2, 2 opening in the back stroke. 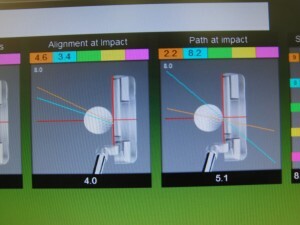 Path of putter through impact improved to 1.2, 1.2, 1.0, -0.4, -0.4. The putter head alignment at impact improved dramatically to just 0.6 open. Now with the face of the putter opening just by 4, 4,4,2,2 degrees we had instantly improved his path of his putter during his putting stroke to and we also improved his putter face alignment at impact. This lead to twenty 8 foot putts holed in a row. All we did was to get him to weaken his left hand grip slightly by gripping it more in the palm and not in the fingers. So next time you start missing a few putts, bear in mind what a session on the TOMI PUTT ANALYSIS software could do for you. PS. My client played golf today and shot his best ever score of 76 and took just 31 putts instead of his average of 41..